Doctor Who Infinity is a new platform for experiencing the Doctor’s stories, with 6 new tales coming by the end of 2018. Each story features a different Doctor from the 55 year history of the show, including both modern and classic Doctors, companions, monsters as well as entirely new characters to discover! Each story is brought to life with actors narrating, as part of an amazing audio experience overseen by the award-winning audio director of Monument Valley, Stafford Bawler. 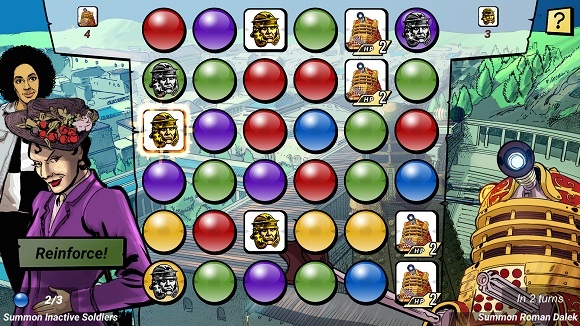 Each story is visually brought to life with a combination of comic book style cut scenes interwoven with game play tightly designed to mirror the narrative beats of the story. 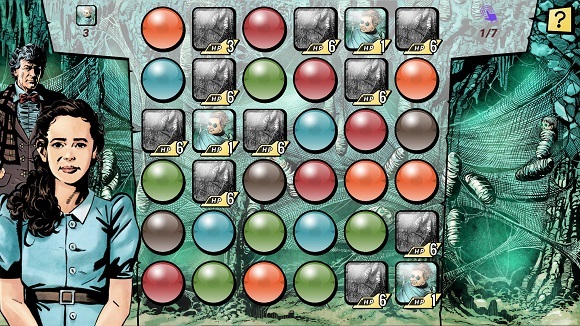 Game play changes from level to level with increasing complexity while the recognizable detachable tile mechanic allows us to stay accessible to gamers of all levels of experience. 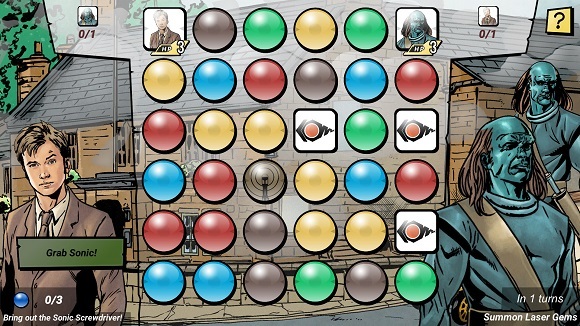 In Infinity, characters like the Daleks, Missy, Jo Grant, and the Doctor literally appear on the board, as do opponents like robots, bombs, firewalls, and time vortexes. You have never played anything like this before. 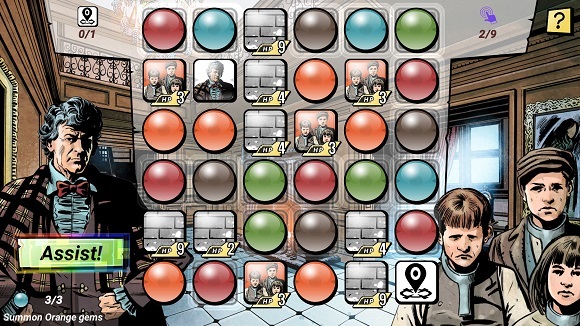 The game design is an innovation on the award-winning puzzle mechanic used in Doctor Who: Legacy — think of this as the first time you have had the chance to play through original Doctor Who stories from start to finish. This game is aimed at the adult Doctor Who fan, comfortable with mature, dramatic themes in a series of all new Doctor Who adventures, brought to you by well-known writers, artists and actors in the extended Doctor Who universe.